JETs tend to be interesting people. After all, every one of them has relocated to a different country at least once. It’s not surprising that many of them have also had other interesting experiences, some of which lead to insights that they end up sharing in TED talks. This is part of an occasional series on current or former JETs who have given TED talks. Here is JET alum Amelia Hagen speaking about getting uncomfortable to find tolerance. What do people do after JET? Here’s one great example. On November 16, JETAA DC held the latest in their JET Talks series with a talk by JET alum George Rose (Fukushima-ken, 1989-91), former interpreter for Hideki Irabu and current Director of Pacific Rim Operations for the New York Yankees, not to mention former JETAA NY President. Here’s a video of the talk. (Thanks to JETAA DC Vice-President Joy Young for passing this on!) Many great anecdotes including one about interpreting for Hideki Matsui on the Regis and Kathy Show. Plus, did you know that George played a role in helping the Yankees sign Masahiro Tanaka? Watch and enjoy! Posted by Michelle Lynn Dinh (Shimane-ken, Chibu-mura, 2010–13), editor and writer for RocketNews24. 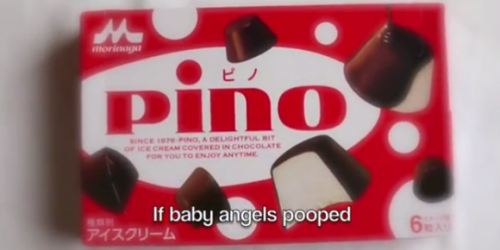 The following article was written by Philip Kendall (Fukushima-ken, Shirakawa-shi, 2006–11), senior editor and writer for RocketNews24, a Japan-based site dedicated to bringing fun and quirky news from Asia to English speaking audiences. It’s the middle of August, and while the days we’ve been having recently aren’t quite as face-meltingly hot as those a couple of weeks ago, it is nevertheless still pretty toasty out there. Thankfully, just like when suffering with a cold or sore throat, the summer heat does afford us one very tasty luxury: a genuine excuse to gorge on delicious ice cream! If you’re feeling the heat this summer, or are just curious about some of Japan’s go-to ice cream treats, join us after the jump for a special video featuring five of our frozen favourites. You can pick up the five ice creams featured in our video from pretty much any supermarket or convenience store in Japan, so you’re never too far away from epic refreshment and creamy luxury. We must warn you, though: watching this video may cause uncontrollable salivation and pangs of jealousy in those living outside Japan. This is of course just the tip of the vanilla-flavoured iceberg – there are tons more ice cream treats out there to try, so be sure to share your own favourites in either the comments section below or over on our YouTube channel. Happy gorging! Updated with media coverage of the visit. 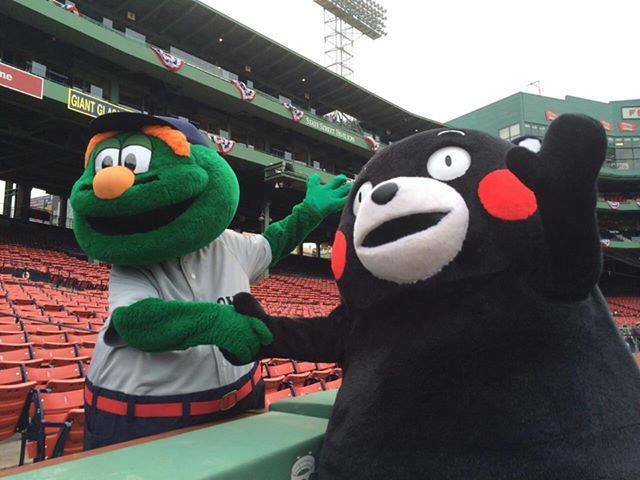 Boston and New York had the honor of hosting Kumamon’s North American debut last week! Who is Kumamon you may ask? The rosy-cheeked, sack-shaped bear is the official mascot of Kumamoto Prefecture in Kyushu. Voted the top “Yuru-kyara” (cuddly mascot character) in Japan, he has taken Japan by storm and sold more than $300 million worth of merchandise in 2012 alone. Kumamon’s remarkable success in promoting his rural prefecture across Japan–there is even an exclusive “Kumamon Goods” store in Tokyo’s upscale Ginza neighborhood–is being studied in government offices and marketing departments across Japan. In fact, no less than the Wall Street Journal has published no fewer than three articles about the phenomenon. Governor Kabashima is an interesting person. He was an “at-risk” student who grew up poor in Kumamoto. Against all odds, through hard work and dedication he ended up earning a PhD from Harvard and becoming a political science professor at University of Tokyo. His launch of the Kumamon public relations campaign is one of the great local promotion success stories of recent times. Kabashima has also gotten a lot done in Kumamoto, including making some real headway in repairing Kumamoto’s troubled finances (he started by cutting his own salary), trying to resolve remaining issues related to Minamata disease, and blocking Tokyo’s plans to build a huge dam in the prefecture. A very good article about his life can be found here in the Asahi newspaper. The governor introduces himself and his views in two videos, here and here. I encourage everyone to take some time to visit Kumamoto while traveling in Japan. The prefecture boasts some of the best onsen hot springs in the country. Aso-Kuju National Park is one of the natural wonders of the world, with its giant ancient crater that is so large that an entire volcano and six towns exist inside of it (I lived in one of them!). Kumamoto Castle is one of the three finest castles in Japan. 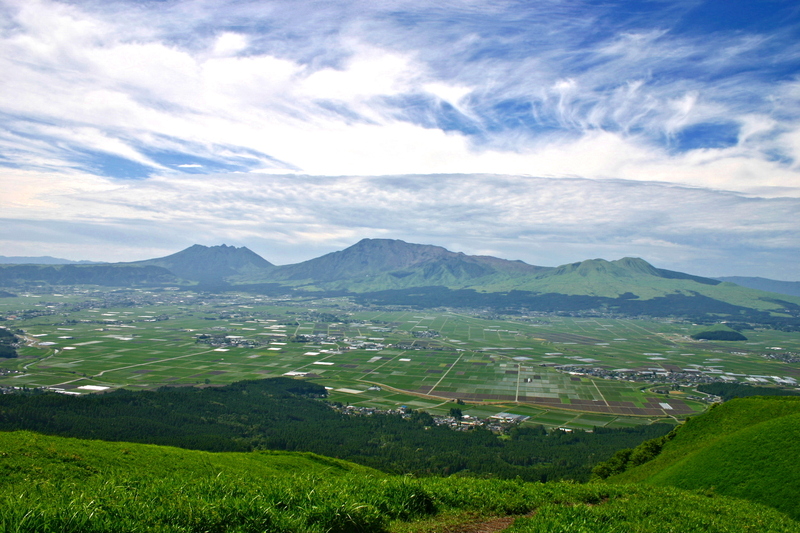 Beautiful parks and gardens, beaches and mountains, history and culture, Kumamoto has it all! To explore Kumamoto further, click here. The prefecture also has a great Facebook page here. If you are a JET alum from Kumamoto, I encourage you to join the LinkedIn Group for Kumamoto JET alumni here. In fact, I encourage all alumni to join their prefecture’s LinkedIn Group. You can find yours here. It’s a great way to stay connected with other alumni from your prefecture. 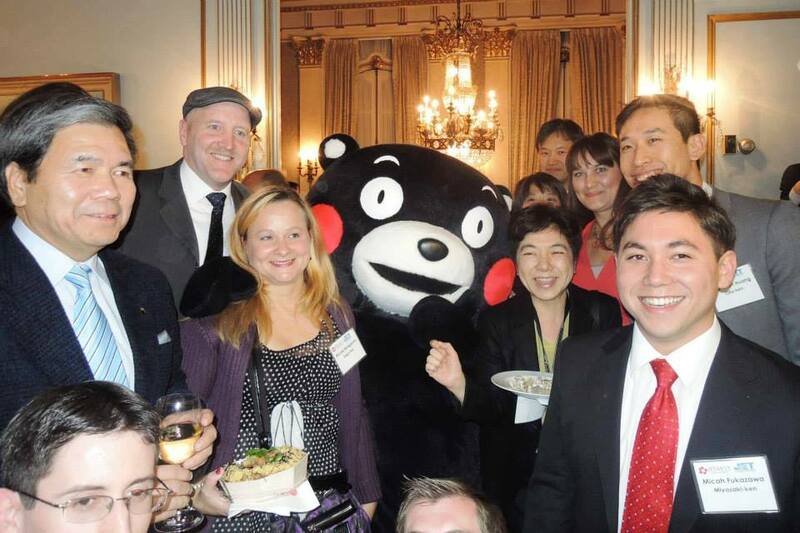 I’m glad JET alumni had a chance to welcome Governor Kabashima and Kumamon to the U.S. Congratulations on the great success of their first U.S. tour together! Posted by Benjamin Martin, a JET from 2008-2013 in Okinawa, publisher of the blog MoreThingsJapanese.com and author of the award-winning YA fantasy series Samurai Awakening (Tuttle). Yes. This past week on Kume Island, children were sent screaming as a single wild lion went rampaging through a peaceful neighborhood. Well, it was mostly peaceful. Since it was the full moon and August 15th of the Kyureki calendar, there were also a bunch of people around banging gongs and playing music. There were also some creepy Hacaburo running around egging the lion on. Warned in advance that something might be going on, I showed up with some local friends just after sunset with my camera ready. 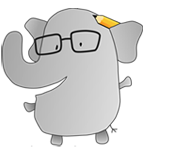 What I saw shocked me, and soon my former students were running for cover… behind me. By the end of the night no less than 5 children had been bitten. When asked, parents responded that they were overjoyed. One parent, while holding a screaming infant, smiled widely and talked about how smart he would be while neglecting to stop the lion from continuing its rampage. For more on this story, visit MoreThingsJapanese.com for pictures and video. Tara Hohenberger, who first fell in love with saké and the Japanese culinary world as an ALT in Nara (2001-2003) wrote to us about a film project she is helping produce. The documentary The Birth of Saké profiles the production seasons and lives of the workers at Tedorigawa, a fifth-generation, family-owned sake brewery in Ishikawa, Japan. Tedorigawa has been producing some of the world’s top award winning sakés since 1870 and still utilizes very traditional brewing methods. Tara is working on the project with filmmaker Erik Shirai, who was a cinematographer on The Travel Channel’s No Reservations’ with Anthony Bourdain. The crew was first invited to the brewery in August of 2012 and was intrigued by the intense and relatively unknown process (even within Japan) of traditional saké making. Led by Brewmaster Teruyuki Yamamoto, the team of brewers is made up mostly of migrant farmers who grow rice in the summers and return to the brewery in late October to begin an intense six-month period of saké production. They will live under the same roof and eat three meals a day together. At the most intense time, when they brew the ultra-premium Daiginjyo variety they will barely have time to sleep. In January 2013, they returned to Ishikawa and were granted permission to spend several weeks living amongst the workers at the brewery. It allowed them a rare window into a cast of vibrant and dynamic characters and fueled their interest in painting a deeper portrait of the people behind the product. Shirai’s film captures this little understood world with his signature lush visual aesthetics in the stillness of winter in northern Japan. On July 9, they launched a Kickstarter campaign running through September 2, 2013, to complete the project. They hope to raise $50,000, which will allow a visit to film the Brewmaster in his hometown of Noto, Japan to illustrate the contrast of the intense life he leads inside the brewery for six months a year, with that of his land, his rice fields, his wife, children and his grandchildren. The film will also capture the critical moment when the workers return to the brewery to begin the production cycle again. Funding will also cover editing, musical composition, licensing, equipment rentals and other post-production costs. Why is Japanese Food so Delicious? Food & Drink, Japan Local, Travel/Tourism, Video Food, japan, Kumejima, Okinawa, Video Comments Off on Why is Japanese Food so Delicious? 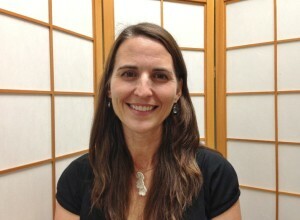 Posted by Benjamin Martin, a 5th year JET on Kume Island in Okinawa, publisher of the blog MoreThingsJapanese.com and author of the award-winning YA fantasy series Samurai Awakening (Tuttle). It’s no secret that Japanese food is popular outside of Japan. Not only is the food in-country highly rated, but there are Japanese restaurants all over the world. A lot of people wonder, why is Japanese food so good? It’s a complex answer. Many will tell you it’s umami, others the care and thought put into food, and yet more that it’s the simplicity of the dishes that highlights natural flavors. I’m not a food expert, but I think it’s a bit of all the above. When I lived in the States, I never ate fish. Maybe it was because I lived in the desert and all we got were frozen or river fish. Whatever the reason, I’ve had an aversion to most fish since I was young. Then, 5 years ago, I got dropped on a little island in the Pacific, their second industry being fishing. Their food was fresh, delicious, and amazing. A week ago I had a shrimp that was still moving a bit. And IT WAS SO GOOD. My family will tell you what large strides my palate has taken over the last five years. So why was that prawn tail I had so much better than any other shrimp I’ve ever had? How did a bit of still moving shrimp overcome 23 years of stubborn dislike? Simplicity. The shrimp was peeled, and served with a bit of soy sauce. There were no other flavors to get in the way, no cross-contamination from sauce pans, pasta, or other fish. Umami. The briny flavor combined with the bite of soy and the sweetness of the meat meant create that unique sixth taste that everyone raves about. It’s a balance easily lost when the simplicity is left out. Quality. Kume Island is known for miso cookies, sugar cane, and white sand beaches, but it’s also home to many kuruma prawn farms. Kuruma Prawns are similar to tiger shrimp, but a slightly different species. They’re the kind of shrimp Jiro’s restaurant used in the documentary Jiro Dreams of Sushi. So what makes Kume Island’s shrimp so good? Checkout the video below then head over to Kumeguide.com to learn more about Kume Island Prawns. Update 5/28/13: I originally listed Karl as a Gumma JET before learning that he’s actually based in Saitama-ken. Apologies for the error. CBS News did a feature on Japanese school lunches this past Saturday morning, May 18. They happened to pick a Higashi Chichibu Junior High School in Saitama-ken where JET Karl Hoeschen works and they ended up interviewing him for the story. Tom Baker (Chiba-ken, 1989-91) spent many years on the staff of The Daily Yomiuri. On April 1 this year, The Daily Yomiuri became The Japan News. The paper’s website includes a daily video introducing a few sample headlines from each day’s paper, and Tom is one of the presenters. His latest video appears below, and you can see more at the-japan-news.com or The Japan News’ YouTube page. Your first question is probably a lot like mine when I got my placement in Kitadaito. Where? A lot of us on the JET programme end up in interesting locations that we’ve never heard of before. My first JET posting was on a small island, 320km east of the Okinawan mainland with a population of 550 people. I spent three years on Kitadaito and loved every(well pretty much) minute. A lot of what I learned there inspired my first two books Samurai Awakening and Revenge of the Akuma Clan. During my time on the island, I made a video for an event on the mainland. The video was my first ever and I used school equipment which, combined with my limited experience produced a so-so video. I went back with a bit more practice and re-did the video, upgrading the quality where I could and adding new material from a visit last year. I hope you enjoy this digital look at Kitadaito Island.